Rovio was at Comic-Con this week, teasing its newest upcoming title, Angry Bird Transformers. The game has yet to be given a release date, having been first teased back in June, but we guess it will arrive sometime in the Fall of this year. 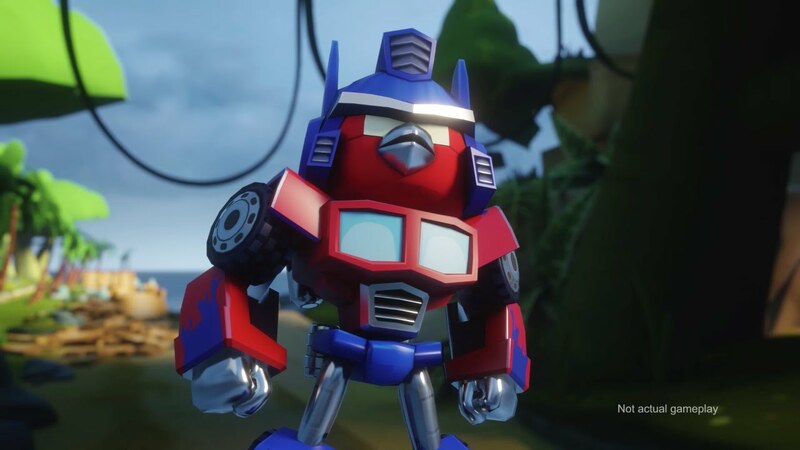 After coming down from its Star Wars partnership, it will be interesting to see if Rovio can continue momentum for its Angry Birds titles with the Transformers franchise. Don’t get me wrong, I love me some Angry Birds now and then, but how many franchises will Rovio continue to leech from? Maybe if they came out with something less childish they could get me back on board, such as an AB Aliens, AB Godzilla, or AB Zombie Apocalypse. Those could be sweet. What’s your opinion? Is there a particular subject or franchise that you would like to see Rovio partner with? Is it possible that even kids are becoming bored with Angry Birds? When more information about the release for this game is made available, we will be sure to keep you posted.